Sponsors Forum A place for site sponsors to offer deals to members of the site. 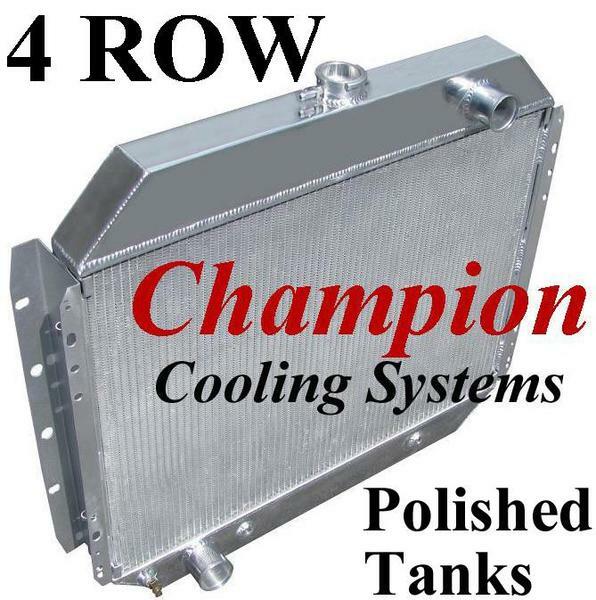 Left Eye Blind Racing & Fabrication is proud to announce we're teaming up with Champion Radiators. We've used them in our customer builds, personal daily drivers and race trucks for several years now. Very affordable replacements, or you can bling out for a full polish. We only have select Ford/Chevy radiators posted on the site currently, but will be adding the entire product line. Thanks Duncan...really making a push to have all our vendor deals in place by 1/1/18. Yeah...especially for the price point. no PSD radiators?? or are there still more to be added later?? wouldnt mind getting it from LEB instead of Michimoto since their aluminum rads are so freakin expensive.. I know they have IDI...checking their listings, they have your year range, but don't show if gas/diesel...just dimensions, and I don't have OBS radiator dimensions memorized...haha. So I'll ask. Edit: only thing they listed through my year was for the ranger. 99and earlier trucks had diff design.. ohh well..
Last edited by Sparky83; 11-16-2017 at 11:53 AM. Yeah...we're a vendor for these radiators. But like I said in the original post, we use them in everything. So we're comfortable with them.